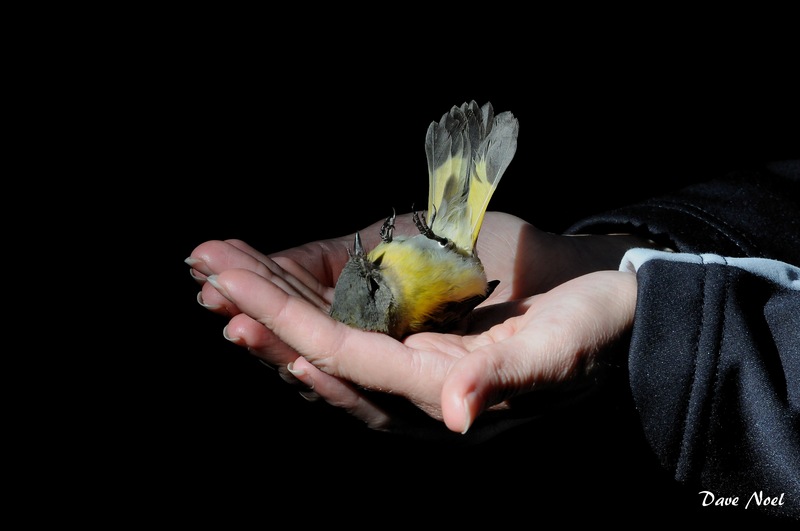 After the first major cold front arrived on Saturday with rain and winds from the north, the migrants were all over the place. A good number of birds kept on going Saturday afternoon and night but we did catch 21 (including 2 recaptures) on Sunday. The highlights included a first for the station Northern Mockingbird, a few Gray Catbirds, and a nice collection of thrushes. 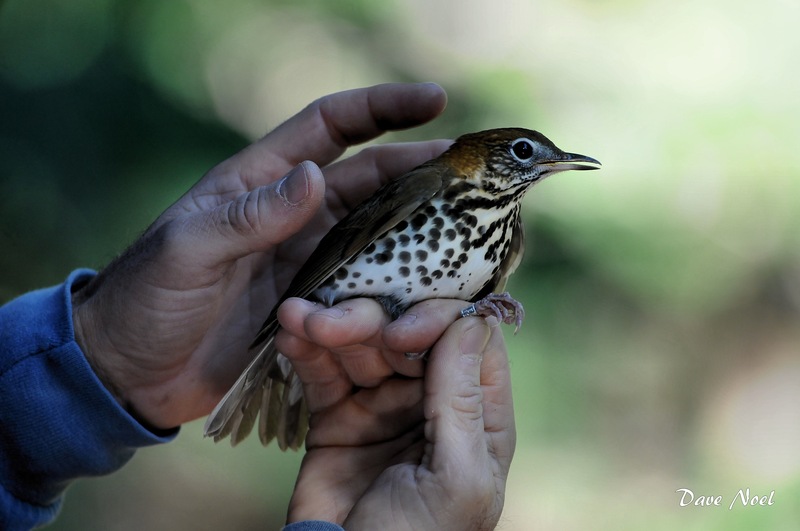 We had Wood Thrush and Swainson’s Thrushes. Warblers included some female American Redstarts and Ovenbirds. The new canopy net caught a few birds in its new location. Due to some vandalism the previous banding session we decided to not leave them out in the park and put it up each week like the rest of the nets. We have two more Sundays so I hope that we continue to get lots of visitors to experience the wonders of bird migration! Who am I? 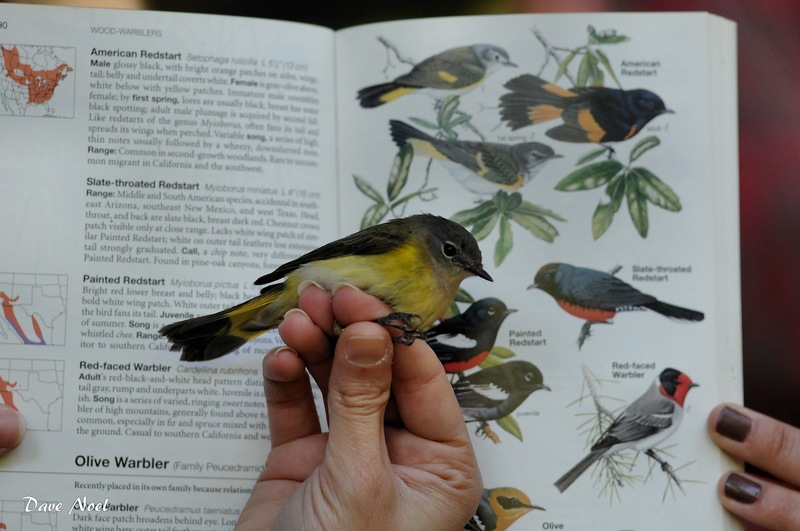 Hammock Bird Banding reading program. 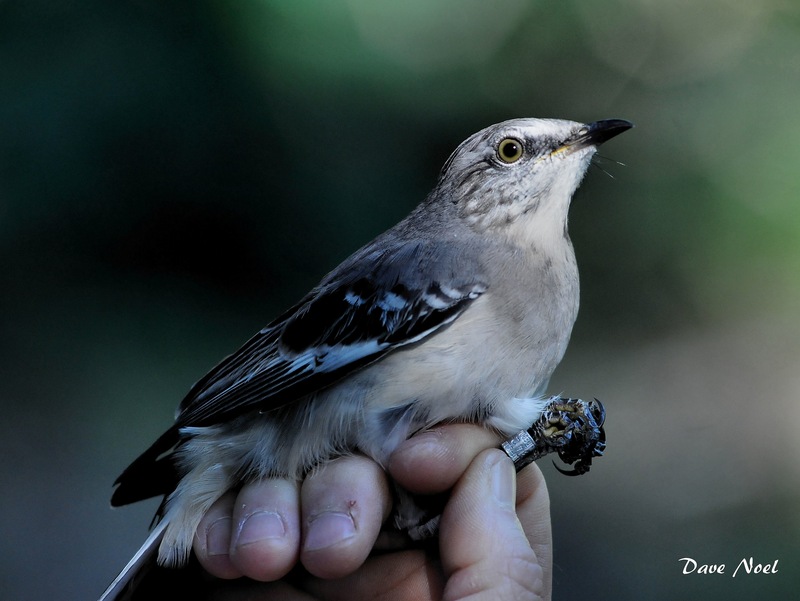 First Mockingbird caught at the station.